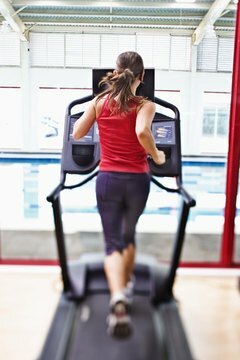 Factors such as your weight and how fast you run determine how many calories you burn on a treadmill. People often join gyms for two reasons -- building muscle and losing weight. If dropping a few pounds is your goal, you'll be able to accomplish it by burning calories through aerobic workouts such as running on a treadmill. When it comes to knowing how many calories you should burn during your workout, several factors play a role in determining the ideal amount. In any type of workout, the number of calories you will burn depends on a handful of factors that include your weight and the length, intensity and type of the activity. Everyone burns calories at a different rate; two people who weigh 120 and 150 pounds, respectively, will not burn the same number of calories, even if they run at the same speed on the treadmill for the same amount of time. Despite the number of variables that play a role in determining how many calories you'll burn on a treadmill, the easiest rule to remember is that the harder and longer you run, the more calories you'll burn. You can burn more calories on a treadmill by increasing the incline, which forces your body to work harder. Finally, pumping your arms forces your body to work harder than if you just hold the handles of the treadmill during your run. 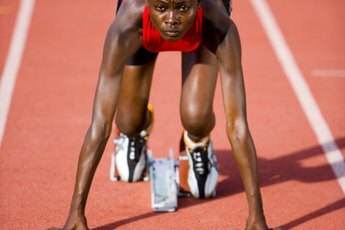 A 130-pound person who runs for an hour at a pace of 5 mph will burn 472 calories, while someone who weighs 155 pounds and runs at the same speed and duration will burn 563 calories. Regardless of your weight, the faster you can run, the more calories you'll burn. The same two people, if they can run for an hour at 8 mph, will burn 797 and 950 calories, respectively. If weight loss is your goal, it's important to understand the relationship between the calories you burn and the fat you hope to lose. It takes 3,500 calories burned, above what you consume through food and drinks, to lose 1 pound of fat. For example, if you eat 6,000 calories over the weekend, you'd need to burn a total of 13,000 calories to lose a pound of fat. Obviously, it would be extremely difficult to burn so many calories, which demonstrates the importance of regulating your caloric intake when trying to lose weight. 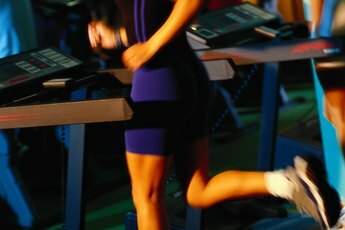 Do Calories Burned on the Treadmill Mean Weight Loss?